The last day of the SG Table Football Premier League for year 2013 concluded today, on 29 December 2013. 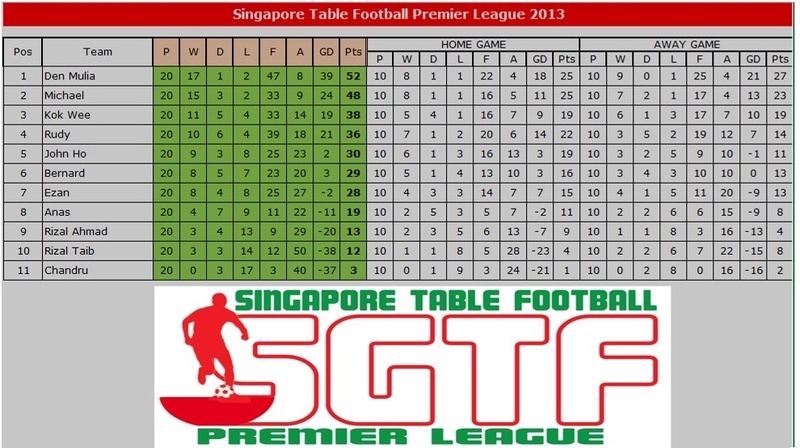 This brings us to an official close for the SG Table Football Premier League 2013. Look out for the League in 2014 (1st game session on 12 January 2014). with a bigger pool of 18 players, and with the inclusion of an inaugural SG Table Football Junior League, it is a definite promise of more exciting flicking action! !